An elegant three tiered stacked wedding cake. Ribboned separators give extra height to the cake and delicate blossoms are scattered on the sides. 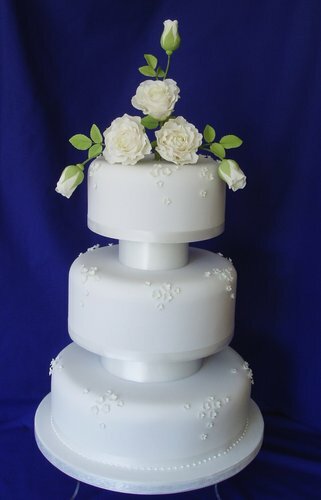 A beautiful spray of sugar Roses add the finishing touch to the top of the cake.